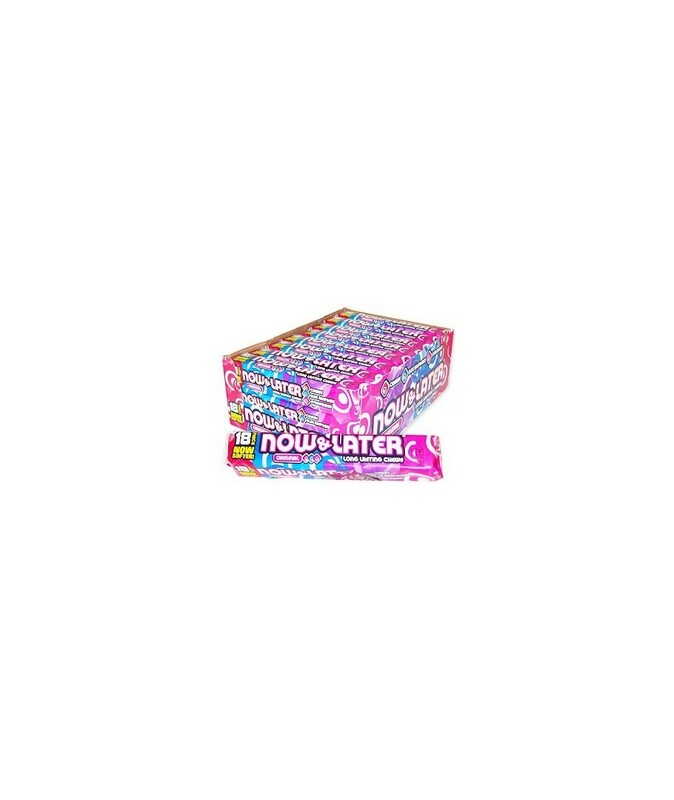 Now and Later Fruit Chews – the Original Now Softer. Soft Chewy Classic Fruit Chews. Classic fruit flavors: Cherry, Blue Raspberry, and Strawberry. Case contains 24 Now and Later Chews Packs. you can buy NOW & LATER ORIGINAL in bulk at a wholesale price from Volt Candy Online. I gave a piece of this candy to a friend, after taking it he came back to request for the entire pack.